Is it possible that there is a link between excessive internet usage and weakened immune systems? A recent report seems to suggest so. But why? 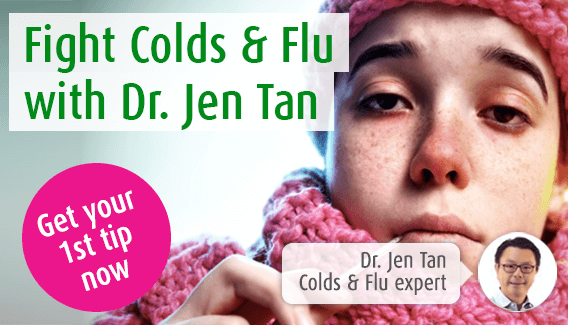 I discuss some of the reasons why excessive internet usage might be making you more susceptible to colds, flus and infections. Can the internet really affect the immune system? We are most certainly in a technological era. Most homes have countless PCs, laptops, tablets and smartphones – indeed it feels as though you are unable to walk down the high street without the majority of passers-by using some sort of device. The internet has revolutionised the way we live and work. It is an extremely useful tool for communicating, keeping in touch with friends, shopping and learning amongst many other things. For most of us, it has become an essential part of our existence with the majority of the day spent with one sort of screen or another. However, recently published research at Swansea University has found that excessive internet usage can weaken your immune system and make you more susceptible to colds and flu! Scientists looked at the behaviour of 500 people aged between 18 and 101, who were recruited because they spent many hours in front of a screen. 40% were considered to be at least mildly addicted to the internet. What they found was that people who were more addicted to internet use had 30% more cold symptoms than people who used the internet less. For a start, people with excessively high internet and social media usage have been found to exhibit higher stress levels, with a higher risk of developing sleep problems or even sleep deprivation. And not surprisingly, stress levels increased when connections were not available. Another hypothesis is that those who spend their lives in front of a computer screen spend very little time with others, and hence are less exposed to bugs in our environment. As a consequence, their immune systems are less able to recognise viruses and bacteria. This means that when they are eventually exposed to these bugs, they can be more susceptible to infection. This is very similar to what happens in an infant or child with an immature immune system. In the study, it was also thought that the group with excessively high internet usage smoked more and consumed more alcohol and, as we know, this cannot be helpful for immune function. Whatever the reason, the data represented pieces of a jigsaw that fit together to give a picture of a person more susceptible to illness if hours and hours are spent in front of a screen. In general, most people in the study said that they use the internet six hours a day with a significant proportion stating that usage was up to ten hours a day. However, it would seem that it is not simply the amount of time you spend browsing the internet or speaking to your friends on Facebook, Twitter and the hundreds of other apps. It is how you balance this useful modern technology, that we cannot do without, with other aspects of your life. Whether you are working hard in front of your computer, or chatting to your friends, don’t forget to take time to keep hydrated. Water is the best form of hydration and 6 to 8 glasses a day will help. Recognise when your sleep is disturbed. Don’t forget that the ‘white light’ emitted by modern devices can disturb your sleep pattern, especially if used at night. Don’t let modern technology stress you out. Emails and messages are great for keeping us in contact and have changed the way we work. But the need to constantly check your phone is not good for your inner peace. Learn how to leave your phone or tablet at home. Start with going for a 30-minute walk each day empty-handed – your devices will still be there when you get back. With a bit of practice, you might find that you can last a few hours or even an entire day without one! Don't let internet usage interfere with healthy eating. Diet is a really important aspect of immune function, so make sure to eat three well-balanced meals throughout the day, and if you like to snack whilst surfing the web, try to make them healthy snacks.